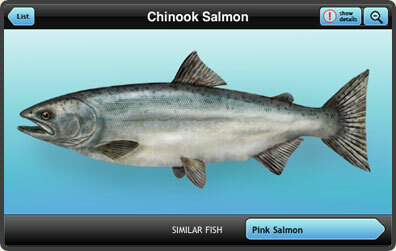 Find-A-Fish Lite contains a portion of freshwater fish species included in the Full version. 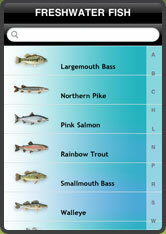 Navigate throught most popular FRESHWATER GAME FISH species in the United States. Species included in LITE version: Atlantic Sturgeon, Black Crappie, Bluegill, Brown Trout, Chinook Salmon, Hybrid Striped Bass, Largemouth Bass, Northern Pike, Pink Salmon, Rainbow Trout, Smallmouth Bass, Walleye, White Bass. 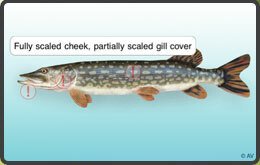 Beautiful and detailed image of the fish for easy recognition. 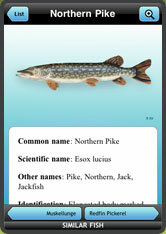 Description includes following information: Common Name, Scientific Name, Other Names, Identification, Size and Weight, Habitat, Feeding Habits, Fishing. 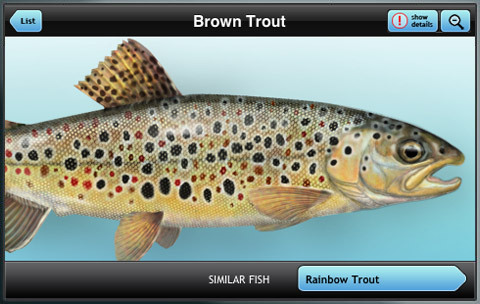 Buttons at the bottom of the screen point to similar fish species - for easy browsing and comparison. Flip your iPhone or iPod into horizontal view for magnified image and helpful identification hints. Scroll left or right between similar species. 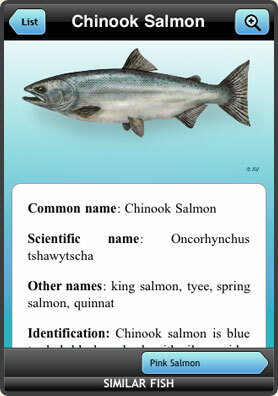 Press "Show details" button to reveal distinguishing characteristics of this particular fish.